OMGosh these are great teacher gifts and look how cute Arya is becoming and growing up Queen of peace!!! what a great title. I love it. The tag and jar of lotion are such amazing teacher gifts!! I love how you decorated them both!! And hand-made lotion!! I'm so impressed!! I know the recipients treasured these!! Thank you so much for playing along at DL.ART!! WOW it seems like Arya was born yesterday. SHe is just to darn cute. The teachers gifts are fabulous and love the cute tags. I know the teachers loved them. Hard to believe she has grown so quickly...she will love kindergarten. She will have lots of new friends and many more wonderful teachers. 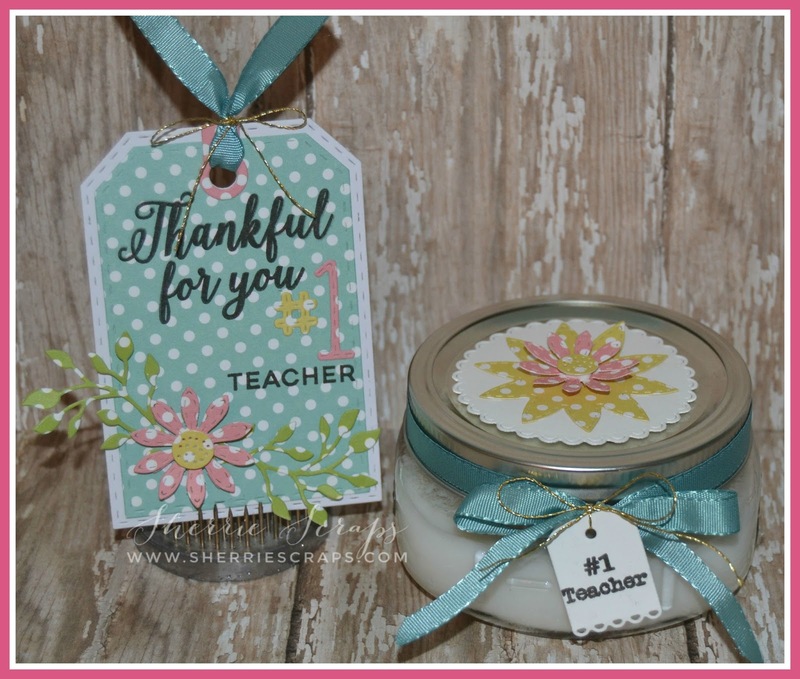 Your teacher gifts are perfect. 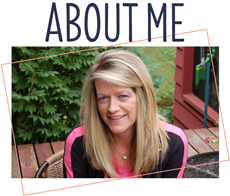 Sherrie, I loved visiting your blog today! I always enjoy the personal side of things and seeing photos of family and friends. Your granddaughter (still can't believe that!) is so precious and really growing up fast! These days pass quickly! How sweet of you to make these gifts of handmade lotion for the teachers; I'm sure they are so grateful! The way you have decorated the jars and those tags is delightful! What a kind thing to do for these dedicated teachers! I hope you have a great week! Hugs! Love love love that gift set! So beautiful! And loving the photos from her graduation! SO ADORABLE!!!!!!!!!!!!!!!!!!!!!!!!!!!! Awwww how adorable! 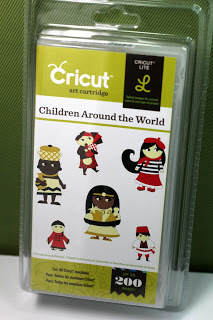 What a fabulous gift idea and perfect for the occasion! What a cutie you have! They grow fast ... enjoy these memorable moments! Love your project! Thanks so much for joining in the fun at our Double D ‘Flowers Galore’ challenge! We hope you’ll come back often. Your granddaughter is adorable!! 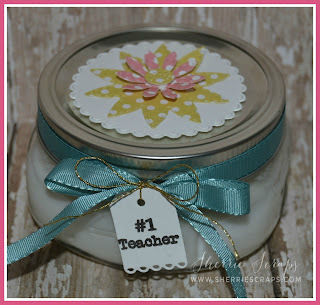 Awesome idea for teachers gift, tag and jar look beautiful! Thanks for joining us at Die Cuttin Divas this week! I remember when she was born and it seems like yesterday. I can't believe my grandson is almost a year old seems like he was only born yesterday. Great gift set for the teachers. You are such a great grandma!! I am sure her teachers loved this. They are so cute! I can't believe how big she has gotten!! 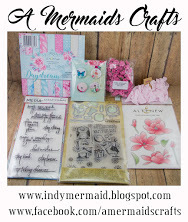 Beautiful, Any Teacher Would Love This Gift... Thanxx For Sharing With Us At Jo's Scrapshack This Week. Such a wonderful gift idea! Your decorated jar looks amazing! I love the sweet tag you created too! Gorgeous gift set! 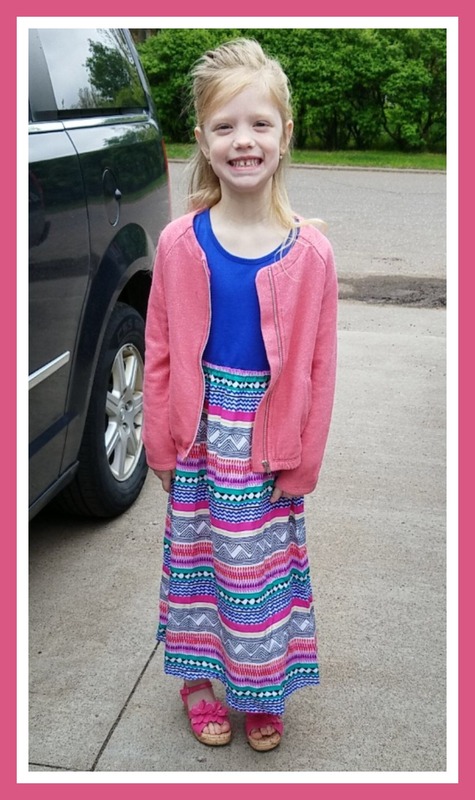 I can't believe your granddaughter is going to be in kindergarten next year, time sure flies! The tag and teachers gift are awesome! Such a great idea! And the pics of Arya are so sweet! Hope she has a wonderful summer! 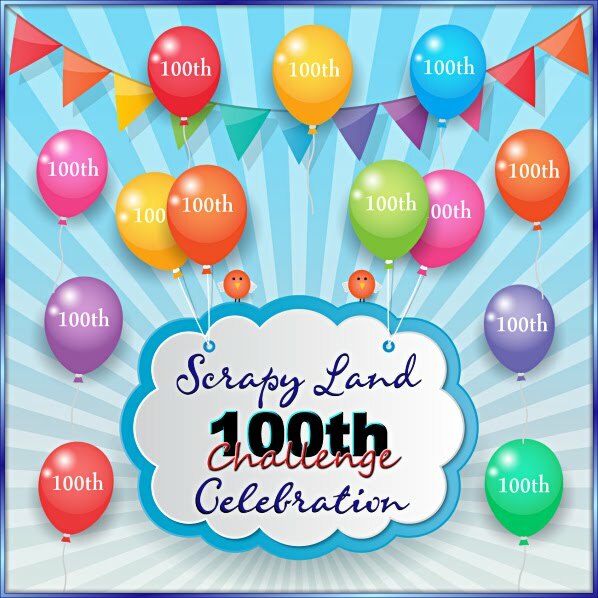 ANd thank you for linking up to our Funday Friday challenge this week!!! Beautiful tag my friend! !I love the handmade lotion gift!! A wonderful set. She will love it! I love the beautiful pictures! !Arya is precious! I love the pictures of Arya. We are watching her grow up on your blog. 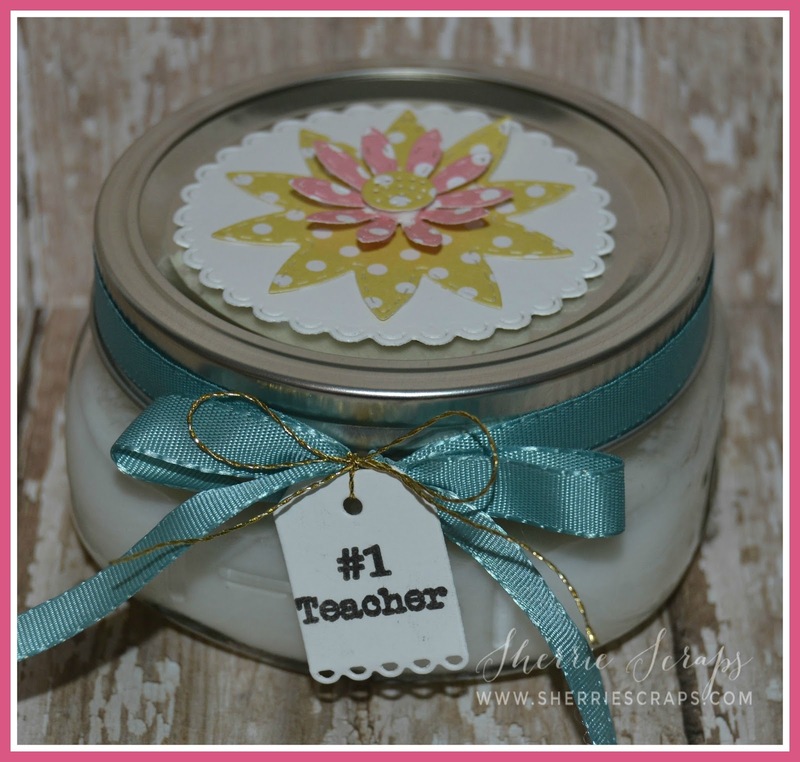 Her teacher will love the homemade gift you made for her. I'll have to google making lotion it sounds like fun. Thank you for joining the DL.ART Thankful Thursday Challenge. Oh my word...your Arya is growing up! She is just beautiful! What a beautiful, thoughtful gift. I love that you made your own lotion, I bet it smells yummy! Your packaging is so pretty - I love the colors. Oh how sweet! I am sure the Teacher's appreciated the darling handmade gifts! Your grand-daughter looks soooo cute!!! I have been sooooo busy preparing for our visit from our daughter and her family (my little Ruby is coming) I can't wait! I have been sewing and cleaning and next week I will be baking homemade cookies. I have not been keeping up with comments and probably won't until after their visit.